Whether it's remote guest readers, digital exit slips, or responses in text and drawing, technology can personalize the read-aloud experience for every student in class. Reading aloud to children is an essential part of the school day. Experiencing stories as a whole class or in a small group can help students learn essential reading skills. Educators who read aloud to children understand the importance of modeling thinking, providing opportunities to talk about books, and encouraging students to respond to reading with their own thoughts and opinions. As schools increase the amount of technology available to teachers, educators are presented with unique opportunities to incorporate tech tools into their instruction. When teachers thoughtfully integrate technology, they make clear connections to learning objectives. Technology can enhance learning experiences by increasing the frequency and quality of interaction with a text. 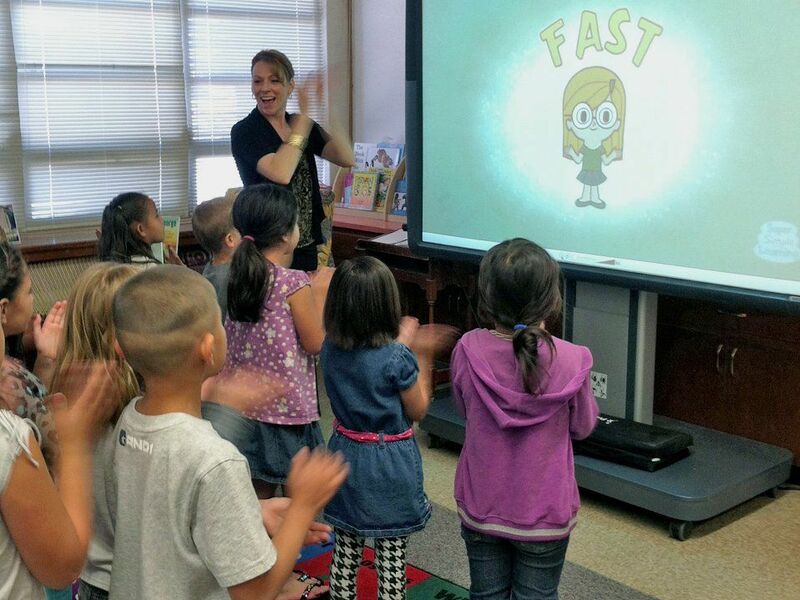 Here are a handful of tips for integrating tech tools into your next read-aloud. With free video conferencing technology like Google Hangouts and Skype, it's easy to bring a parent, librarian, or author to your classroom. These virtual visitors can read a book to your students and hold each page up to the screen as they bring the story to life. Beaming in a guest reader is a great option to energize your read-aloud and get students excited about a special reading event. Making sure that all students in your class can see the words and illustration on each page of a read-aloud can be a challenge for teachers in rooms of any size. We're often used to leading a read-aloud with students sitting on a rug and the teacher sitting at the front of the classroom. If your classroom has a projector connected to a document camera, hold your read-aloud book so it is displayed on the big screen. This will make it easy for all students to follow along with the text and illustrations on the page. After students have listened to a read-aloud, they can respond to comprehension questions or share their opinion through an exit slip on their tablet. Students might submit their answers on Socrative (a great, free BYOD tool that works on any web-enabled device) or post their responses in a forum that you're already using, like iTunes U or Schoology. Another way to make use of the big screen in your classroom is to introduce a digital text. Whether you've downloaded a book to your iPad or found a text hosted on a website, you can project this digital text on the big screen for students to follow along with the animations as you read. Many digital texts let users tap on specific words to hear them read aloud, or include background music to set the mood for the reader. A response to reading can take many forms. Instead of being asked to write in response to a read-aloud, children can answer a prompt or reflect on a book through illustrations. Adobe Sketch and Drawing with Carl are two great iPad apps that give students access to art tools on their tablets. You might ask them to bring the tablets to the rug and sketch a response to a question that you pose. Students can show their drawings to a neighbor or pass their devices in a circle to share with classmates. Many laptops and tablets come equipped with a built-in camera. Easy access to a camera can provide a new opportunity for students to respond to what they've read. 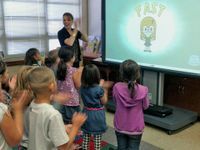 They can use the camera to record a short response to the book, or use an app like ChatterPix Kids or Tellagami to create a 30-second clip about their favorite part. These shareable creations might become part of a digital reading journal or something that is uploaded to a class blog. In 140 characters or less, tell one thing that surprised you in this book. Snap a picture and write a caption for a faux-Instagram account showing your reaction to the ending of this book. You'll create an opportunity for students to connect their classwork to popular real-world platforms. In the comments below, share the ways that you've incorporated technology in your read-alouds.